Congratulations to Carla and Joseph for their recent wedding! Their nuptials were a couple of weeks ago in sunny Florida. The emerald green palm tree is stunning (and fitting) above the formal black script. A family member drew a beautiful and fun illustrated map as part of the information card, showing all the important places for the weekend and welcoming their guests to Tampa. 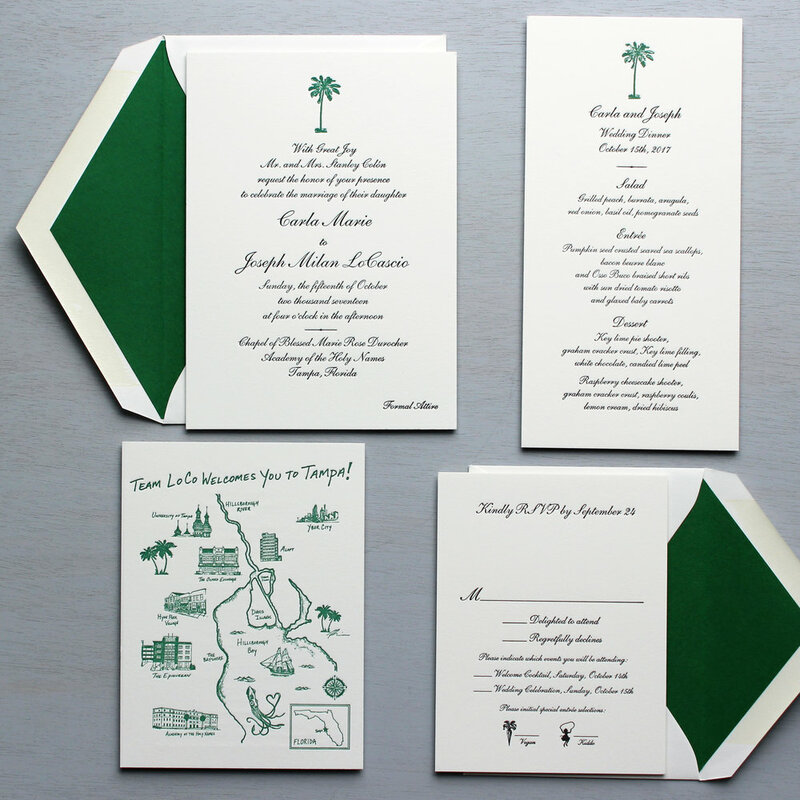 We lined the envelopes in a beautiful emerald green, to match the palm tree. Its a gorgeous set of letterpress invitations that we truly enjoyed creating.